Live from Peoria, Illinois, it’s Saturday Night starring this week’s host, Khaki Jack’s and featuring special guests Jesus and His Apostles and Tony Soprano! Now please welcome, the soon to be sold, Khaki Jack’s! Khaki Jack’s has been Peoria’s only locally-owned Australian-themed pub since the mid-90’s. I first entered the doors here back in 2010, eight years ago when I was still living in New York and was home visiting for my birthday. 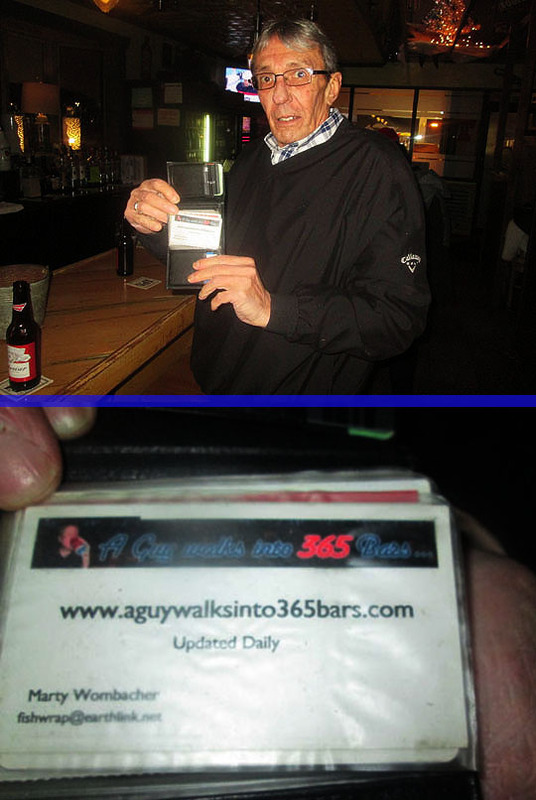 I was doing my 365 bars blog back then and Tony, who owns the place with his wife, Deb, invited me to stop in while I was back in P-town and I did. I’ll be posting a link to that later on in this post. Since I’ve moved back, I’ve become a regular here at Khaki Jack’s and it’s been included in many posts in the last five years and has been the chief lunch supplier for my “Can I Eat My Lunch In Here” episodes. Well, I found out last week that Tony and Deb are selling Khaki Jack’s and the changing of the guard is going to happen in the next couple of weeks, so I decided to have a last supper in here while Tony and Deb still have the ownership of the place. So let’s get in out of the cold for our last supper in Khaki Jack’s under the ownership of Tony and Deb! On my way to grab a seat at the bar I ran into Joni who was just finishing up her shift here at Khaki Jack’s and she’s looking cute as usual and there’s Reggie, one of the many Khaki Jack’s regulars! There’s always lots of friendly faces in here! And speaking of friendly faces, there’s Chuck the bartender serving up an ice-cold bottle of Budweiser! I took a shot of the bar from where I’m seated and I love the tin ceiling and lights that hang over the bar. And of course there’s a pail of roasted peanuts in the shell, this is a signature item here at Khaki Jack’s and something I hope the new owners don’t change! As I looked up from the peanut pail, I saw my friend and the founding owner of Khaki Jack’s, Tony! He’s got a glass of water as he’s on duty behind the bar, but I told him he’s got to get used to hanging out on the other side of the bar now that he’s selling it, so he said he’d join me for dinner! There’s a shot of the back of the bar and there’s Tony’s Christmas Story lamp in the window. Be careful, it’s fragile! 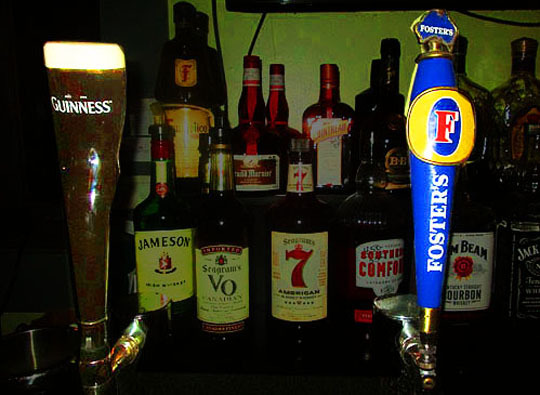 Here’s a shot of the dueling beers on tap, Guinness and Foster’s. And there’s the specials for the evening at the end of the bar and Mr. Peanut who always gives me the creeps and as you can see from this link, I’m not the only who has this opinion! If the new owners want to get rid of Mr. Peanut, they will have no complaints from me! There’s a spacious dining room opposite the bar with booths lining the far wall and a bucket of peanuts at every table! I’ve always loved all the items stored up in the wooden rafter ceiling in here. There’s flags, a bike, a shark, neon beer signs and the newest addition is a lit-up Christmas tree! Chuck just called out and said my sandwich was ready up at the bar, but seeing as this is my last supper at Khaki Jack’s under Tony and Deb's ownership, something doesn’t seem right here. Luckily, I invited the same people that joined me when I had my last supper at Cyd’s a while back...hey guys, you want to help me out here? 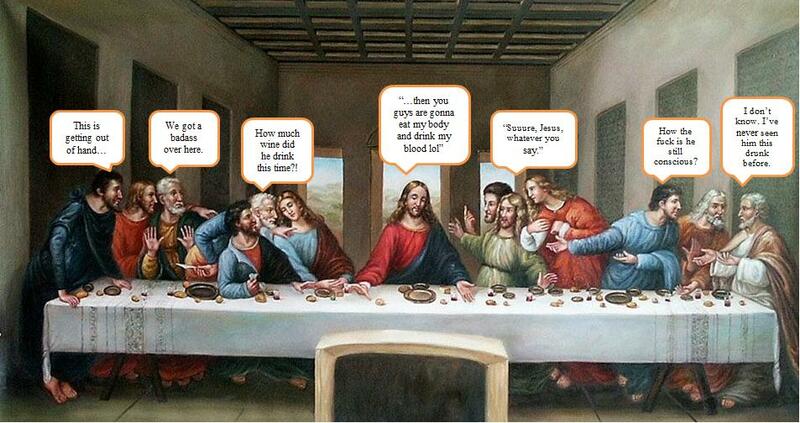 There we go, now I’m in the proper mood to eat my last supper in here! As I made my way back to the bar I see that Tony made good on his promise of joining me for dinner! There he is with Laurie and Randy who we met on our last trip here! Great to see them again and now it’s time for the last supper! I’ve had almost everything on the menu at Khaki Jack’s, but I’ve never had the pork chop sandwich, so that’s what I ordered for the last supper and it looks fantastic! Chuck recommended I add pepper jack cheese and I also got grilled onions on it. 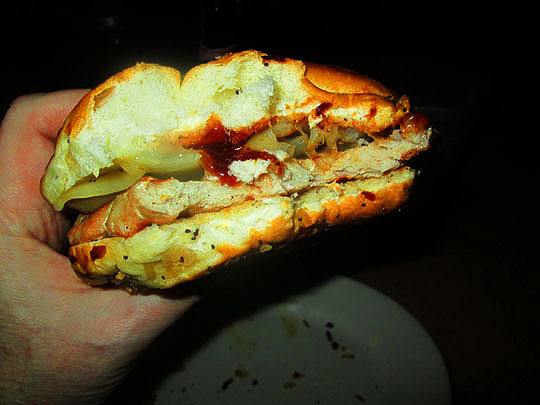 It comes with barbecue sauce, so I slathered some of that onto the toasted onion bun and it’s time to dig in! Wow, this is a great sandwich! You can read about it in the review below but I’ve never had a bad meal at Khaki Jack’s and this is no exception to that tasty rule! Wow, I think I’m getting out of here before someone gets whacked! Thanks to Tony, Deb and everyone at Khaki Jack’s for the fun times and great food for the last five years! Best of luck to Tony and Deb on the next chapter of their lives and you’ll definitely be seeing more of Tony in further adventures here on the blog, you won’t see Deb as much because she hates having her picture taken! Hopefully the new owners keep things the same in here and won't change it too much! We’ll see you all tomorrow! I’ve sampled about everything on Khaki Jack’s eclectic and Australian-themed menu, but I’ve never tried the pork chop sandwich and it was delicious! It’s not as exotic as some of the other selections like the Rootail Sausage Sandwich or the Botany Bay Tuna, but it’s certainly every bit as delicious. The heart of the sandwich is a juicy, perfectly grilled pork chop. Chuck suggested I get it topped with pepper jack cheese and I took him up on that and raised the sandwich stakes with some grilled onions as well! The sandwich is housed in a bakery fresh, toasted onion roll and served with a side of tangy barbecue sauce. It was a delicious and satisfying sandwich and it was huge! I didn’t think I was going to be able to eat the whole thing, but once I dug in I couldn’t stop and I made history of it in record time! Three and Three Quarters Galloping Gourmets—You’ve got just a week or two to stop in and have a final sandwich while Tony is still running things at Khaki Jack’s, so I suggest the pork chop sandwich when you go to wish Tony and Deb the best of luck for the future! Related Posts: Saturday Night @ Castle’s Patio Inn, Alexander’s Steakhouse and Troy Ummel’s Connected.